Hosting a wedding is far from easy. This is an event that can last for a few hours or so, depending on the number of activities that were discussed in the wedding plan. It usually begins with a ceremony, followed by a reception at a different venue. 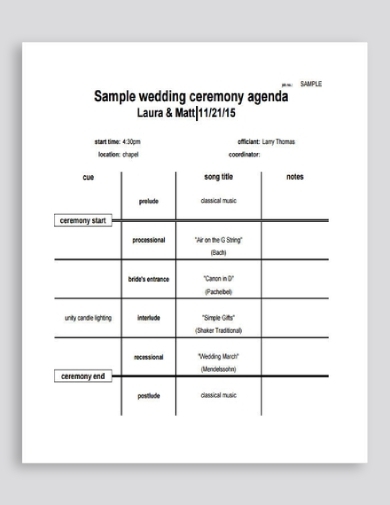 To ensure a smooth flow of events, it’s best to prepare a wedding agenda for your entourage and guests to refer to. In addition to your place cards, wedding labels, and seating charts, you might want to add a wedding agenda to your collection of stationery. 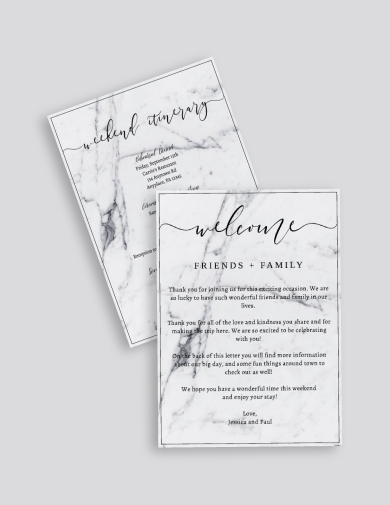 A marble wedding agenda, for instance, would look great alongside the rest of your table arrangements. 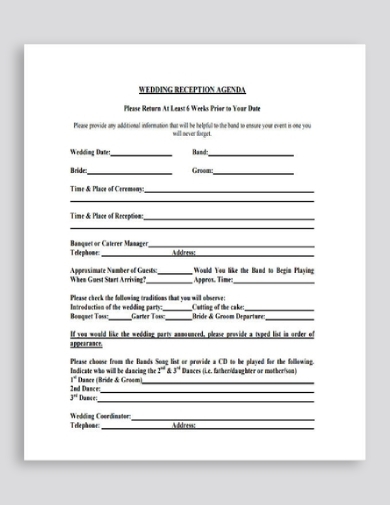 Audience members might have other obligations to attend to after the wedding, so having a schedule of events is sure to be useful for anyone in a hurry. Be sure to choose a design that suits the theme of your wedding so it fits in perfectly with the occasion. You can also use the card to write a thank-you note for everyone that came to share your special day with you despite their hectic schedules. A lot of couples like to get creative with their wedding arrangements by designing their stationery in the best way they can. These days, minimalism has become a design trend that may be incorporated into any form of artistic material. From the setup of your wedding decorations to the layout of your table accessories, you can easily achieve a minimalist wedding by sticking to the basics. For your wedding agenda, try experimenting with graphics for guests to visualize what is set to transpire throughout the course of your celebration. 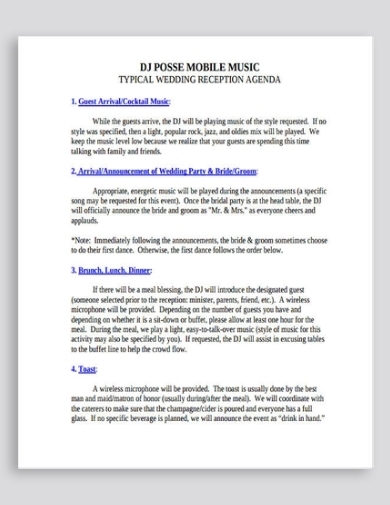 This also makes it easier for guests to grasp what’s written in the event agenda to avoid confusion. Couples who have the financial capacity to fund a large wedding party often go all out with their plans. Hosting a weekend wedding celebration might seem like a lot of work, but the moments shared during the experience are definitely one for the books. 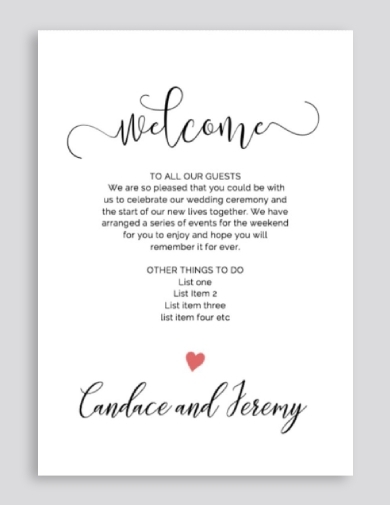 To make it even more fun for you and your guests, you might want to consider making a wedding itinerary to list down the activities for the day. The daily agenda should include the exact time and location of each meeting place, especially if you’re holding a destination wedding on foreign soil. It’s best to be specific with your details to answer questions that will likely be asked. However, try not to give out too much information regarding each activity, as you’d still want it to be a surprise for everyone that’s coming. As a planner, caterer, or entertainer at the wedding, it’s important to be more involved in the specifics of the event, especially if it concerns you. This is one of the reasons why a wedding agenda must be provided to the team behind certain aspects of the event to make sure that everyone stays on the same page. 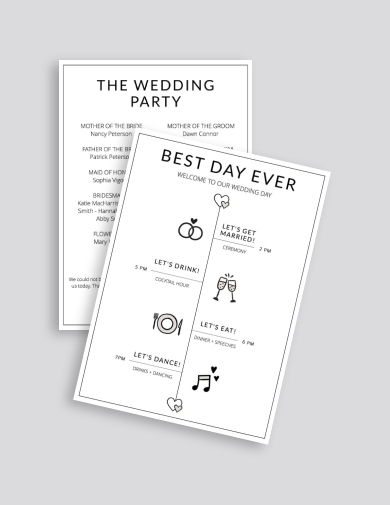 The program agenda may indicate when the catering staff can begin serving the food and when the DJ should start playing the music arranged for the bride and groom’s first dance. Think of it as a script that will signal when a particular activity is set to start along with when it is scheduled to end. A wedding is a marriage ceremony that varies greatly between cultures, religions, social classes, and countries. In many traditions and customs, a wedding can last for an hour or so based on the rites observed during the ceremony. This includes the lighting of candles, the exchange of vows, and the final “I do.” Here, wedding agendas can come in handy to ensure that the entire ceremony runs according to schedule. This can also be useful for organizers that have a lot to attend to at the moment. Keep in mind that any delays in the ceremony can cause a chain of consequences in terms of rental fees and transport times. 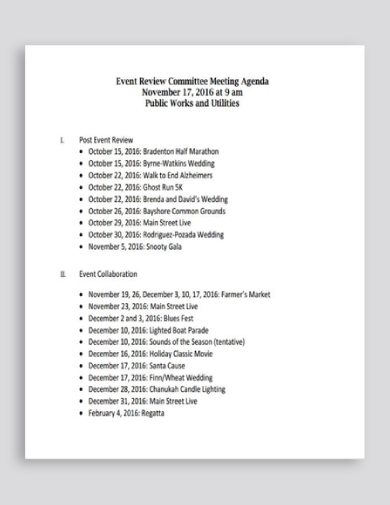 With the agenda, you can keep track of the event flow and make sure that everyone comes prepared for their assigned roles. When organizing an event, there are a lot of details that need to be settled and finalized weeks before the actual date. This would mean a series of meetings with the caterer, set designer, photography team, musical band, and event manager. As an event organizer, you probably have a lot on your plate other than the two consecutive weddings in one weekend. Without a proper planning method, there’s a huge possibility that these events may end in disaster. So to help you and your management team do your job with a greater chance of success, preparing a meeting agenda for the committee to review is always a good idea. This should comprise of the subjects to tackle during the assembly to ensure that every member of your team is aware of any changes that need to be noted of. It’s easy to confuse one wedding from another one planned in the same week, so be very careful when writing the details of your agenda to avoid confusion. Wrapping up the details of your wedding also means finalizing the time and activities of your program. The wedding agenda for your reception should cover all the activities that will be carried out during the party following the ceremony. This includes eating, dancing, and speech-giving that happens in almost every reception. Your wedding program is a key ingredient to a successful event, so make sure your decisions are final and that everyone in your team is aware of what is being set in the final plan.